The National Association of Broadcasters Education Foundation is dedicated to the future of broadcasting through education and the diversity and community service efforts of the broadcasting industry. The Service to America Leadership Award "recognizes individuals and organizations responsible for improving the lives of others through extraordinary public service." Bon Jovi was selected as his "music and public service signify the spirit of America and the principles that define the nation." 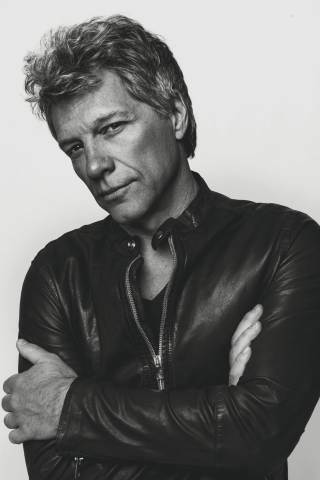 Among his many projects are the JBJ Soul Kitchen in Red Bank, NJ, which has served over 60,000 meals to the needy since opening in October 2011, and the B.E.A.T. Center (Bring Everyone All Together), a community hub in Ocean County, NJ that allows families and individuals in need to access food, job training and other resources. NABEF president Marcellus Alexander said "Jon Bon Jovi has entertained audiences for decades and earned world-wide fame as an artist and performer. Despite his fame, Jon has never lost sight of community. His generous support of programs that address hunger and homelessness exemplifies the Leadership Award for which we will honor him." The award will be presented on Tuesday, June 20 at the Andrew W. Mellon Auditorium in Washington, DC.